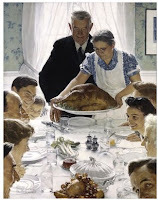 This brings you Thanksgiving greetings and best wishes from NOEBIE.COM with a couple of Old Time Radio segments. From a 1951 CBS Radio Broadcast of Life With Luigi, it's Luigi's Thanksgiving Dinner for America. Also, from Armed Forces Radio Service, it's the 1944 Thanksgiving special on Command Performance. This show is licensed by BMI and ASCAP. The old time radio programs presented in this episode are works in the Public Domain. We encourage you to purchase and enjoy legally distributed music. 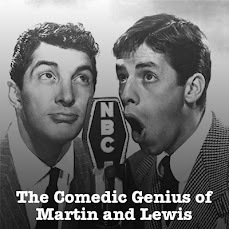 This time around on our Martin and Lewis Old Time Radio Podcast - from a January 25th, 1952 NBC Radio Broadcast of The Dean Martin and Jerry Lewis Show - the boys welcome Alexis Smith to the program. Dino sings Aw C'Mon, Anytime and sentimental favorite That Old Feeling. Get 10% off your purchases when you use our coupon code "SHOWTRUE" at checkout. Visit offers.noebie.com for more information. Also, thanks to our sponsor Budget Car Rentals. Get $30 off weekly rentals and 10% off all other rentals through Budget when you use our Budget Car Rental discount coupon. This program is also sponsored in part by eMusic. Get a two week trial with 35 downloads for free. Visit offers.noebie.com on the Web. Finally, don't forget that you can get great savings on Domain Names, Web Hosting and other services from our sponsor GoDaddy. Use code "TRUTH7" at checkout for DotCom Domain Names at only $7.49. Watch free videos online at MEVIO.COM.